Sutton Rovers and Alford Town marched into the Charity Cup semi-finals in emphatic style on Saturday. The East Lincs Combination Division Two sides hit 13 goals between them in their quarter-final ties. 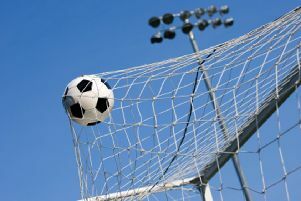 Alford dispatched Marsh Rovers 6-2 to set up a last-four meeting with either Market Rasen Town or Barnoldby whose quarter-final was postponed. Sutton, meanwhile, went one better and thrashed North Cotes 7-3 at home. Harry Chamber, Cameron Ward, Rocco Dambrosio and Jay Turner. In the semi-finals they will meet Susie Star who flattened AFC Grainthorpe 12-1. Louth Old Boys’ hopes of maintaining their goal-laden form were halted by the winter snow for the first time this season. 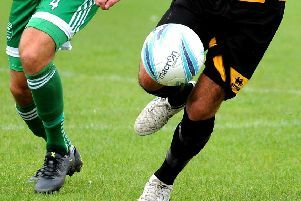 They had scored 19 goals in their previous two East Lincs Combination matches and were due to face Division One’s bottom side Scamblesby, but their London Road pitch was unfit for play. The weather also wiped out clubmates Louth Old Boys Reds’ Division Two match with Manby. And Louth Old Boys Vets suffered defeat in the opening group game of the Tom Sandys Trophy as they were beaten 3-1 at North Somercotes United Reserves. East Lincs Cup quarter-final second leg (1.30pm): Sutton Rovers v AFC Louth. Tom Sandys Trophy Group A (ko 1.45pm): North Somercotes United Res v Louth Old Boys Reds; Alford Town Res v Louth Old Boys Vets.